Nintendo is betting on its media aggregator to be a "better mousetrap" for consumers. Nintendo's always outspoken Reggie Fils-Aime thinks the Wii U's built-in TVii feature is going to get you to use the new console every day, regardless of your gaming habits. In speaking with The Seattle Times, the Nintendo of America president even went so far as to call the social media app "a better moustrap" that the company feels will get consumers more comfortable with the console and eventually lead to more games being played. 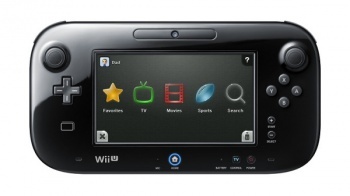 Nintendo TVii is somewhat of a hybrid cross between a social network and a media aggregator. When you're looking for something to watch, the TVii app will search all of your available streaming services and your local cable listings. The TVii service doesn't provide any actual content of its own, but rather relies on your existing subscriptions to services like Netflix, Hulu, and Amazon Instant Video. The Wii U's tablet controller can be used as a second screen to watch content from these services even while your main TV is being used for something else. Users can then share opinions, ratings, and comments about the program they are watching via built-in Facebook and Twitter functionality. TVii will also work with Nintendo's own Miiverse social network, which connects you to the gamers on your friends list. It's unclear how Nintendo hopes TVii will actually lead to more people playing videogames - regardless of how familiar they become with the new gamepad. Using a tablet as a navigation tool to watch The Big Lebowski on Netflix is a bit of a far cry from playing a platformer or shooter, but if you do end up using the Wii U every day because of it, it's a win/win either way.